Talking Heads is a brand new Knittingindustry.com column, which features exclusive interviews with the industry’s movers and shakers. In this very first Talking Heads we interview Mr Mitsuhiro Shima (MS), Vice President of leading Japanese flat knitting machine manufacturer Shima Seiki Mfg. Ltd.
KI: How was 2014 for your business and what are the prospects for your business in 2015? MS: After an extended period of exchange-rate loss due to an abnormally strong Yen, our fiscal period ending March 2014 (April 2013 to March 2014) showed positive profit due to a favourable turn in exchange rates. And although final results for the fiscal year ending March 2015 (April 2014 to March 2015) are yet be announced, considering we were able to maintain the same growth by sales profit and not just exchange-rate profit, it can be said that 2014 was a good year overall for SHIMA SEIKI. 2015 marks the 20th Anniversary of WHOLEGARMENT knitting, so we plan to increase proliferation of WHOLEGARMENT machines and design systems on this occasion. This is not just a matter of number of machines or sales amount, but looking at the world's knitwear market and taking into account the future of knitting, it is about a much bigger picture: How our customers can successfully maintain a profitable business; how the industry can transform itself from one relying on labour to one running on creativity and information; and how a sustainable design-manufacture-distribution system can be established. So far, we cannot imagine such a future being fulfilled without WHOLEGARMENT and APEX3. KI: Which are currently your best selling products and which are your best markets? MS: Globally, our products that sell the most in numbers are basic shaped knitting machines, SSR and SVR models. The market for these machines is worldwide, but sales are currently concentrated in China, Hong Kong and "China-Plus-One countries" such as in Southeast Asia and Bangladesh. In terms of WHOLEGARMENT, our best-selling machine is the flagship MACH2X, mainly in fine gauges. This machine is key to revitalizing knitting industries in consumer markets, including those in Italy, the UK, Spain, Korea and Japan. KI: As the industry waits in anticipation for the ITMA 2015 in Milan, can you give some insight into what it can expect from your company by way of new products/services. MS: At ITMA 2015 our customers can look forward to a presentation worthy of the 20th Anniversary celebration of WHOLEGARMENT. You can expect a new type of flagship WHOLEGARMENT machine, as well as knitted examples that demonstrate production methods that take full advantage of the unique characteristics of WHOLEGARMENT manufacturing. Also on display will be applications in various specialized areas outside the realm of fashion. 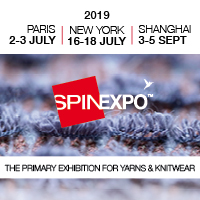 On the design system side, our SDS-ONE APEX3 design system will feature a new 3D graphics engine for producing simulations with even higher-resolution for Virtual Sampling purposes, overturning the conventional notion of costly, time-consuming samplemaking in knitwear production. KI: What do you see as the most important market trends at the moment that affect your business? MS: Once touted as a "global factory," China is undergoing changes that significantly affect practically all international businesses. For SHIMA SEIKI, it is no different. In the case of WHOLEGARMENT, the technology was developed as a last stand for knitting industries in consumer markets for surviving the onslaught of inexpensive imports from China, but because the machines were expensive, difficult to master, limited in their product variety and mediocre in their productivity they did not sell as well as we initially had hoped. Over two decades each of these problems was overcome while the price settled, and now with China's rapidly increasing wages, WHOLEGARMENT production is competitive enough to become an increasingly feasible alternative to imports. This, combined with a favorable exchange rate, the proposition to adapt to WHOLEGARMENT production is more attractive than ever. Knitting companies inside China are also finding it increasingly difficult to maintain a sufficient labour force. This presents opportunities for WHOLEGARMENT production that eliminates the need for labour-intensive post-production linking and sewing processes. At the same time, domestic demand for more fashionable items is increasing, leading to opportunities for apparel production based on an effective planning and design platform offered by WHOLEGARMENT and APEX3. KI: Is there anything else you would like to bring to the attention of our readers? MS: WHOLEGARMENT has come of age at age 20. Just as a 20 year-old takes on responsibility and starts contributing to society, WHOLEGARMENT likewise is expected to take on main production in the knitting industry worldwide. With current affairs the way they are as mentioned above, we are confident that 2015 will be looked back upon as the beginning of a new era for WHOLEGARMENT, and perhaps for knitting as a whole.